نیویورک تایمز امروز گزارشی دارد از خیزش ناگهانی مردم نیکاراگوئه علیه رژیم دیکتاتوری ساندنیستی دانیل اورتگا. گزارشگر نیویورک تایمز علاوه بر مردم عادی با بسیاری از همرزمان ساندینیستی سابق اورتگا که این روزها علیه رژیم او در یک قیام عمومی به جنش وسیع مردم پیوسته اند مصاحبه میکند. همه از دیکتاتوری و فساد رژیم به ستوه آمده اند. اورتگا حکومت نیکاراگوئه را در اختیار ایل و تبار خود قرار داده است و مردم مخصوصاً از همسر او روزاریو موریلو که در پست ریاست جمهوری معاون او هم هست متنفرند و او را رئیس واقعی نیکاراگوئه میدانند. وقتی برای ترجمه این گزارش طولانی نیست ولی در روزهای آینده شاید خلاصه ای از آنرا درج کنم. ولی تا آن روز، مطالعه آنرا به آشنایان به انگلیسی توصیه میکندو دیدن عکسها را هم به دوستانی که آشنائی با این زبان ندارند. 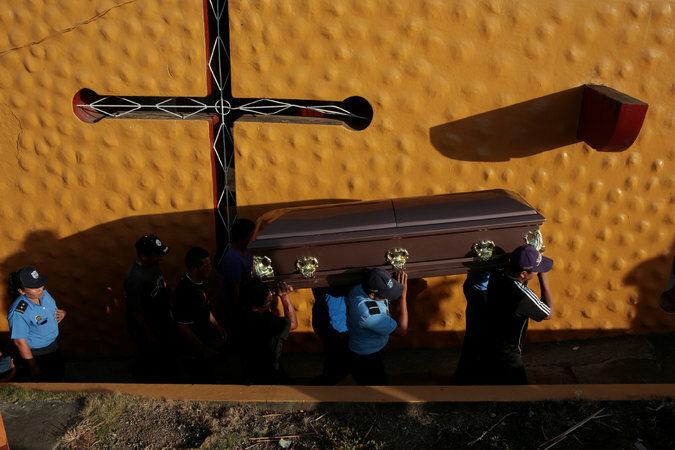 Deadly protests set off by unpopular changes to social security in Nicaragua show no signs of abating, even after the president gave in to demands.By DEBORAH ACOSTA on Publish DateApril 26, 2018. Photo by Oswaldo Rivas/Reuters. Faced with a presidential couple that controls virtually every branch of government and the news media, young people across the nation are carrying out their own version of an Arab Spring. 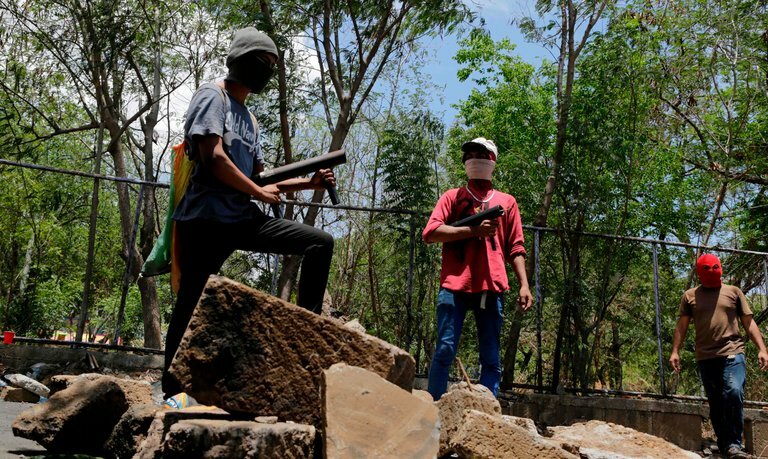 Armed with cellphones and social media skills, their challenge to the government has astonished residents who lived through Mr. Ortega’s revolution in the 1970s, the civil war in the ’۸۰s and the 30 years since then. Another failed attempt at Socialism. Yes, it lasted for years, but at the end of the barrel of a gun. In surprising fashion, Mr. Ortega — whose sway over judges and lawmakers has enabled him to stay in power by reinterpreting the Constitution and scrapping term limits — gave in to demand after demand from the protesters this week. Still, students who had taken over a local university were refusing to back down. The protests started with a relatively narrow issue — a change to the social security system — but they quickly rose to a national boil when students began to die. Human rights organizations say that dozens have been killed, including at the hands of the police. A journalist and two police officers are also among the dead. The sweeping protests have started to have international ripples as well. Just weeks after Travel and Leisure magazine called Nicaragua’s Corn Island “an underrated Caribbean paradise,” the State Department pulled the families of its embassy personnel from the country, and cruise ships were changing course to avoid docking here. 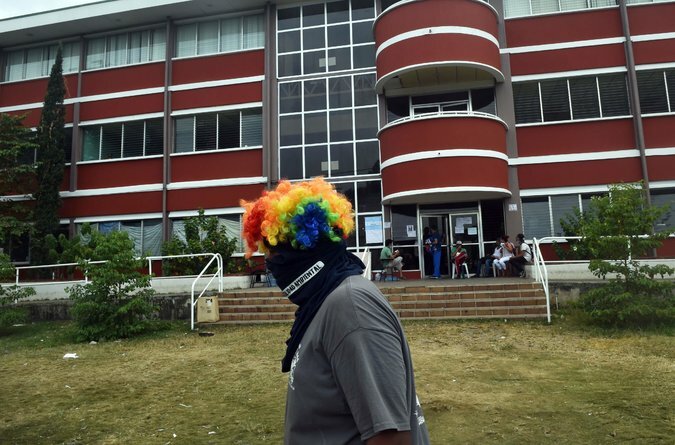 The Roman Catholic Church has agreed to serve as a mediator and a witness to talks, but the students who took over the Polytechnic University in the capital, Managua, had said they would not negotiate while the president was still in office. They decided early Thursday to join the discussions, providing certain conditions were met. “We don’t want Daniel,” said Lester Hamilton, 35, who was struck by rubber bullets in protests last week and remained encamped at the university. By “Daniel,” he was referring to Mr. Ortega, the former guerrilla fighter who was a main figure in the revolution against the right-wing dictatorship of Anastasio Somoza. The Sandinista guerrillas declared victory in 1979. 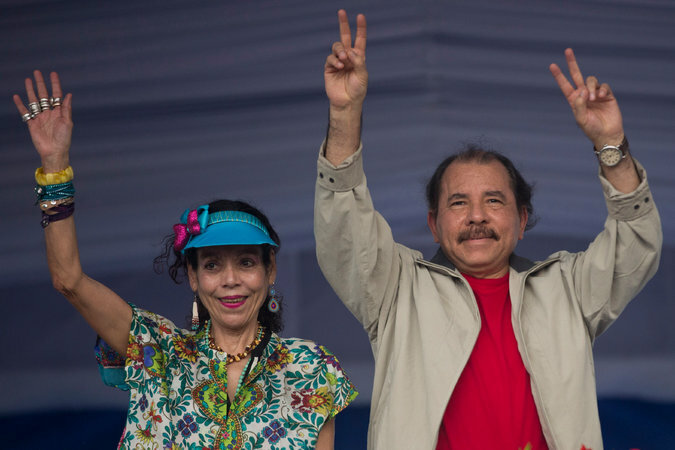 Mr. Ortega then ruled Nicaragua throughout the 1980s, but war continued to rage, as counterrevolutionary forces tried to topple him. His adversaries, known as the Contras, received secret, illicit financing by the Reagan administration, leading to one of the biggest American scandals of the era. Mr. Ortega agreed to elections in 1990 and lost. But even after giving up the presidency, he never gave up power. The Sandinistas still controlled student groups and unions and exercised important influence over the police, army and judiciary. If presidents enacted policies that Mr. Ortega disagreed with, he would unleash students or unions to protest. A pact with an opposing party brought electoral law changes that allowed Mr. Ortega to take office again in 2007, after three consecutive losses at the ballot box. Once president for a second time, he made important alliances with his former enemies, letting big business flourish while he tightened his grip on power. He credited Mr. Ortega with “building a new model” for Nicaragua that included economic growth and a reduction in poverty. Nicaragua is safer than most Central American countries, and its residents have not fled to the United States border seeking better lives like their neighbors in El Salvador, Guatemala and Honduras have. But even Mr. Ortega’s remaining supporters acknowledge that he erred badly in giving so much power to his wife, Rosario Murillo, who is also his vice president. Few decisions seem to be made without her approval, making it clear that she is calling the shots. The couple made institutional changes that allowed them to control the Supreme Court and the National Assembly and were accused of rampant electoral fraud that gave them power over the nation’s city halls, too. Mr. Wheelock cited Mr. Ortega’s willingness to dole out land titles and social welfare benefits. But critics say that while the president used money and oil from Venezuela to win over the poor, he also bought up television stations and took others off the air. He gave plum jobs to union officials, effectively silencing voices of dissent. Middle-class groups and opposition parties often held protests, but they were beaten back by pro-government mobs and largely stifled. So it was all the more remarkable last week when Mr. Ortega’s unpopular change to social security became the detonator for such an enormous movement. Protests exploded. Mr. Ortega’s change to the broken social security system required workers to pay more and retirees to receive less. University students, who were already angry over a forest fire at a natural reserve that the government failed to extinguish, rallied against the changes. Then they were met by pro-government mobs that attacked them. Students died at the hands of the police, human rights groups say, inciting even more protests. Then Mr. Ortega and Ms. Murillo dismissed the protesters as little groups of right-wing gangs. “That just made us even more indignant,” said Enma Gutiérrez, a youth organizer. More and more people joined the protests. And while the opposition movement is huge, it does not have any clear, national leaders, making it even more difficult for Mr. Ortega to tamp down. 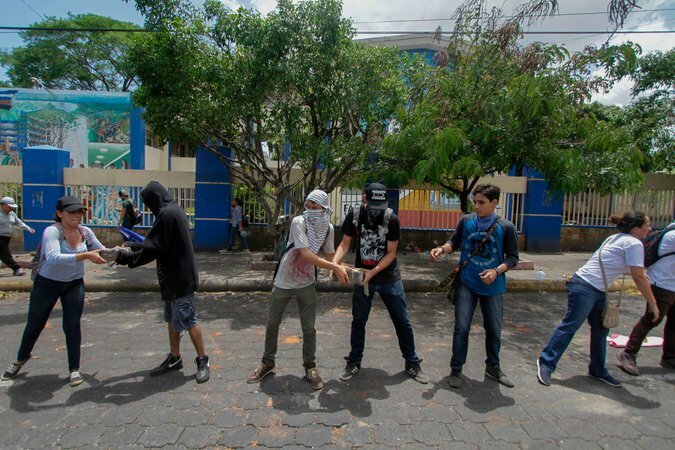 On Sunday, when Mr. Ortega rescinded the social security measures, he failed to mention the students who died in the protests, focusing instead on how the demonstrations had been infiltrated by gangs that looted stores. 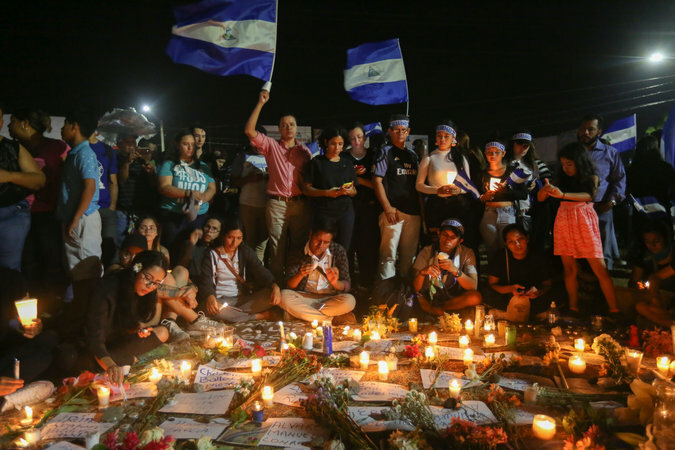 Nicaraguans are furious that Mr. Ortega has not vowed to investigate the student deaths, although he released jailed students this week and put a cable news station back on the air. He was meeting some central demands, but the students insisted that it was not enough. At the Polytechnic University in the capital, students had refused to leave and instead gathered in small groups over the weekend making homemade fire bombs. The residents of the Monimbó neighborhood of the city of Masaya also dug in their heels. 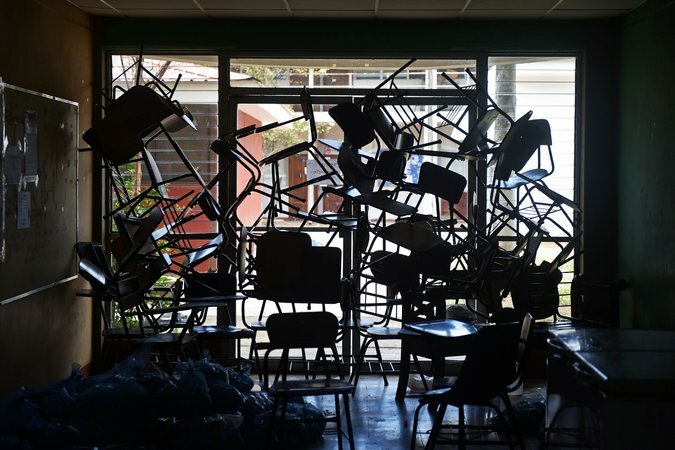 MANAGUA, Nicaragua — The hundreds of hot dog buns, bananas and containers of instant soup stacked up at the Polytechnic University basketball court suggest that the young people hunkered down here are not planning to capitulate. 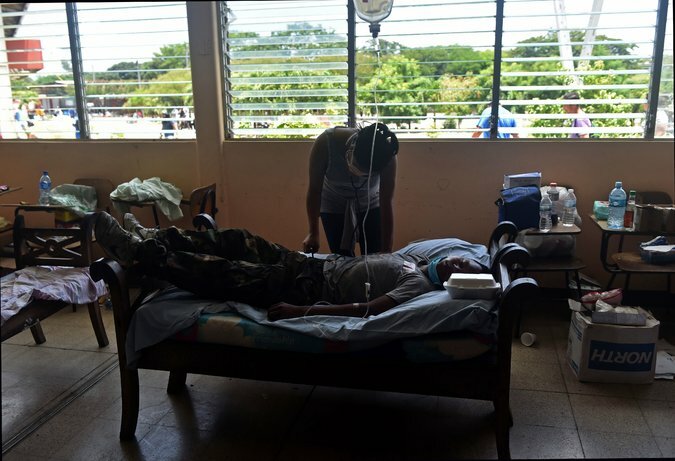 The students and young professionals who occupied the campus last week in a nationwide protest against the government, demanding the ouster of President Daniel Ortega, have enough donated medical supplies to stock a field hospital. Young men with T-shirts covering their faces carry homemade mortar-launchers as they patrol the grounds. A box of Molotov cocktails sits in the corner. 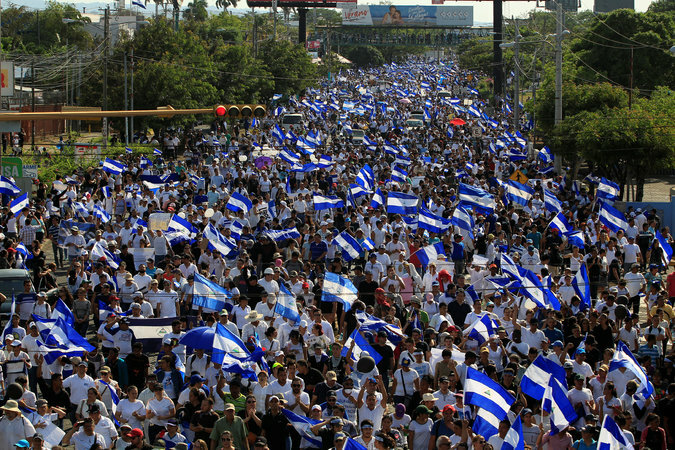 The Nicaraguan youth did something few people in this country thought possible. 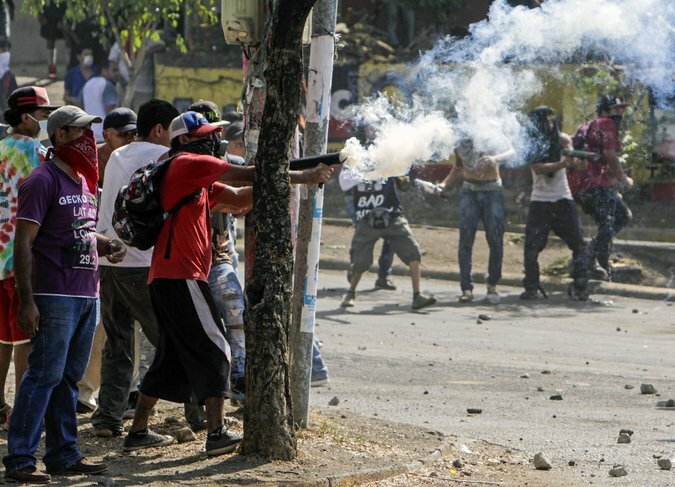 Incited by an unpopular change in the social security system that would not immediately affect them, they staged a spontaneous uprising that has loosened Mr. Ortega’s sweeping grip on power. After years of international denunciations — including efforts in the United States Congress to curtail financing to Nicaragua unless Mr. Ortega’s government becomes more democratic — it was a leaderless, disorganized mass of college students with no political experience or memories of the nation’s civil war that forced a reckoning. The protests led to the deaths of dozens of people this month, many at the hands of the police, human rights groups say. 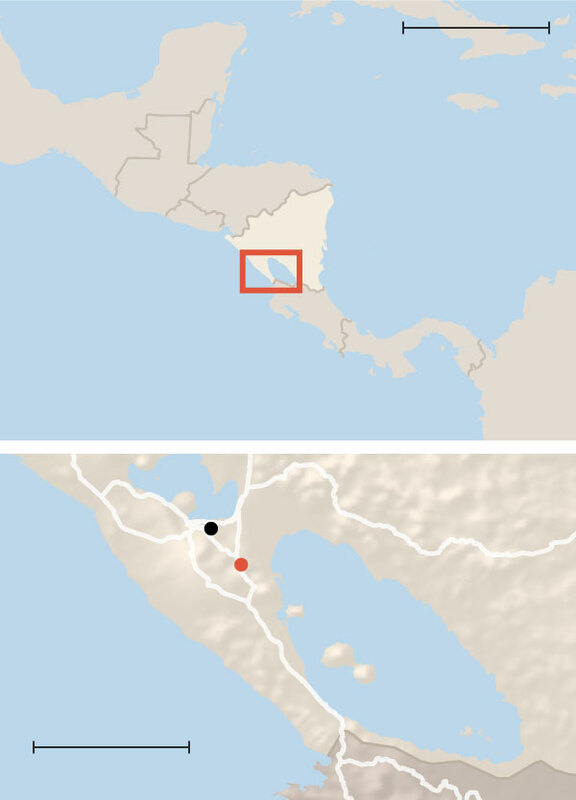 Outrage over the killings drove thousands more people to the streets and quickly became the biggest challenge to Mr. Ortega, a Cold War foe of the United States, since he returned to the presidency in 2007. Days of rallies forced Mr. Ortega to withdraw his social security cutbacks, release detained protesters and allow a television station back on the air. But now a critical stage in the standoff begins. Can the students, who astonished and awakened this Central American nation of six million people, transform their street activism into actual political change? The protesters at the Polytechnic University, many of whom are not even enrolled here, are convinced they can get a new electoral council chosen, which would lead to early presidential elections. They also insist that top police leaders be replaced, and that the killers of the protesters be brought to justice, among other demands. After days of refusing, the students have agreed to negotiate with the government. In the meantime, the young people have dug trenches around the university here in the capital, Managua. Signs of wear are starting to show on the protesters, as days of sleep deprivation, the constant sound of mortar fire and the fear of a police crackdown strain their frayed nerves. Many students have already abandoned the site. Two people were killed here at the university on Sunday evening, the students say, arguing that one of the protest leaders was actually an infiltrator who revealed logistical information to the police. Many of the students describe a jarring and confusing set of experiences that both propelled their movement and left them wondering how long it will hold together. One student leader, Jeancarlo López, 21, said he joined the effort after a stranger died in his arms at a demonstration last week. Another student feared that a fellow protester was trying to kill her. Yet another said that she had collected thousands of dollars for the movement, but then someone stole it, so she gave up and went home. One 18-year-old with bloodshot eyes and skinny jeans said he tried firing a homemade mortar-launcher from a rooftop, but it blew up in his hands. His parents came to get him, but he returned to the protest with his arm wrapped in a bandage. “They were worried,” he said through the layers of fabric masking his face as he clutched a tube of pain reliever cream. Sauting Onsang, one of several volunteer medics who have been at the university for nearly a week, said the students were trying to get organized. They named themselves the 19th of April Student Movement, after the day students began dying at protests. They also formed a working group of 25 representatives, while the others drilled them on their oratory skills. Although analysts here are in shock at what the students have already done, they are not confident about the protesters’ bigger objectives. If the president does not resign or agree to new elections, what is the endgame? Alejandro Aguilar, a former law school dean here who was fired after he criticized the government, said that the lack of a clear leader helped the students because it made the movement harder to quash. But the same leadership void also makes it more difficult for them to choose goals and strategize. The government’s Sandinista Front party released a statement this past week blaming the students for the escalation of violence. When the police tried to clear a highway the students had blocked, the protesters attacked officers with homemade mortars, the statement said. The governing party also said it was “worth noting” that the two universities where the protests began were religious universities “subsidized by the state” and that the protests were not a spur-of-the-moment occurrence. “Despite the apparent lack of direction of the protests, it powerfully calls our attention that there was perfect coordination, synchronized actions and of the same type everywhere, as if something had already been prepared, ready to be activated when the conditions were right,” the statement said. The university provost declined a request to be interviewed “while lives were at risk,” but released a statement Thursday night saying that because the students’ safety cannot be guaranteed, the administration has not demanded that they leave campus. Meanwhile, Nicaragua’s colleges and universities are not holding classes. The official national university student union, which is allied with the government, criticized the sit-in at the Polytechnic University, noting that many of the demonstrators do not even attend the school. They accused the activists of being directed by a rival political party. Leonel Morales, one of the union’s leaders, said that most students wanted to leave after the social security change was repealed on Sunday, but that young people from off campus had taken over and would not let him go. So he sneaked out instead, he said. Jessenia Valeska Valle Duarte, 22, an accounting major at the Central American University in Managua who is serving as a spokeswoman for the students, denied that the protesters were affiliated with any political party, emphasizing that the national student union does not speak for them.